The Villages at Rollin’s Creek offer a special opportunity to people who want not only to simplify their lifestyle, but to enhance it. The heated swimming pool is a popular gathering place for exercise or just to cool off and relax. The spacious 6,000 sq. ft. Club House offers a billiards room, a full-equipped exercise room and a cozy library with a gas fireplace. Those joining us from a larger home appreciate the huge great room with a full kitchen available for private parties with family and friends. 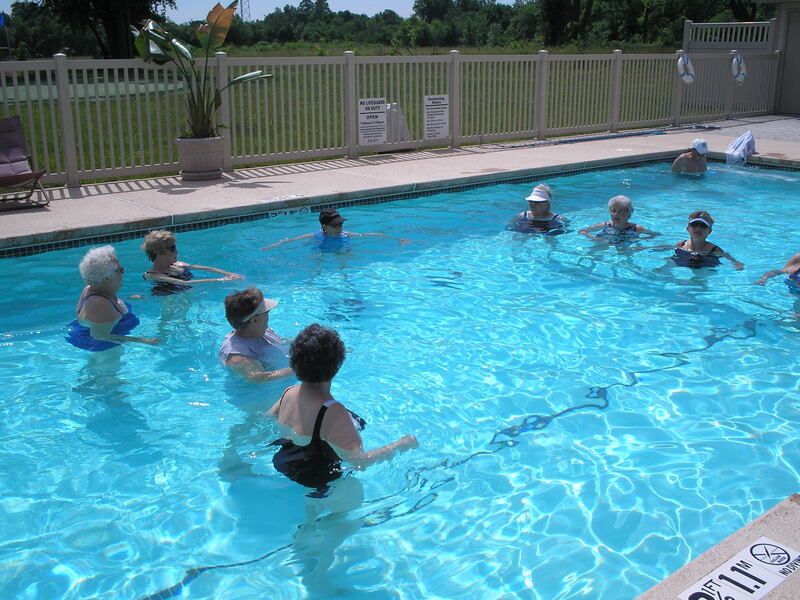 encouraged to enjoy the many amenities that are available at The Villages at Rollin’s Creek. Every home in Rollin’s Creek ensures the maximum amount of privacy but that doesn’t prevent the strong sense of community that is found among the folks that call Rollin’s Creek home. Bible studies, old fashioned potluck dinners, aquacise and bunco are just a few of the regular activities that are held on the grounds. Southwest Missouri offers many local and nearby attractions. Residents of Rollin’s Creek are never short of activities or destinations!